As always, it takes Wes Anderson to make me appreciate some pseudo-rock travelling music from the 1960’s. 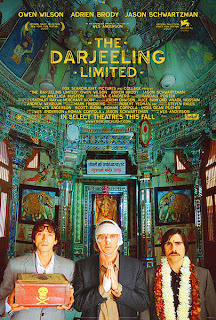 Not to come a day late to an hour party, but be sure to take a look at the trailer for the new Wes Anderson film The Darjeeling Limited, starring his usual staple of actors, as well as Adrien Brody. Excellent trailer can be found here. Furthermore, the track from the trailer is This Time Tomorrow, hence the picture of The Kinks. It has actually made me realize that there is more to The Kinks than Lola or What I Like About You, even though those are wonderful in their own vein. 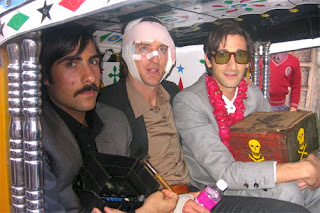 Anytime Wes Anderson wants to do a movie, I will see it. I saw Rushmore in Pittsburgh, The Royal Tenenbaums in Seoul (Seodaemun specifically at Star 6), The Life Aquatic in Seoul, and hopefully this movie in Princeton, New Jersey. Life is somehow paralleling Wes Anderson creations. Off to India, I suppose.